What Color Was Your Brekky? 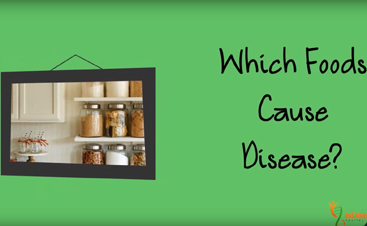 - Is Disease Hereditary? What Color Was Your Brekky? Brekky is Aussie for breakfast. One of the most endearing aspects of living in Australia was their colloquial use of cute shortened words; kindy for kindergarten, sunnies for sunglasses, and brekky for breakfast. About 2 years ago while living in San Diego, I decided to experiment with eating only veggies and seafood (aka pescatarian diet). I already ate mostly seafood, chicken, and turkey for my protein and had gotten to the point that I rarely ate red meat, so it wasn’t much of a stretch. I figured if the pescatarian thing went well then I would venture into vegetarianism to see how I felt sans animal protein. At the time, I had not yet completed (or even heard of) the Whole30 and still consumed cereals (oatmeal and Kashi), brown rice, and pasta as main staples for every meal plus lots of veggies. So with my new pescatarian diet, I simply added heaps of beans for extra protein. I became the hummus queen! Looking back with 2 more years of knowledge and experience under my belt, it probably wasn’t a great diet for me…interesting exploration, though. Often I would have huge cravings for avocados or guacamole; I don’t usually have cravings so I knew something was not well balanced. 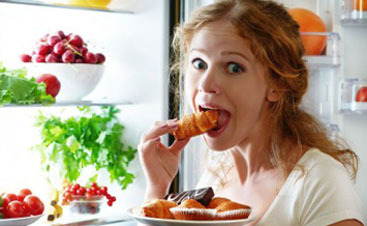 But I was also going through menopause, so I never really knew what was causing cravings or mood swings, heh. After about 9 months or so on this diet, I decided to split a 100% Angus burger with a friend. I was curious how my body would respond. Just within the first few minutes of eating it, I felt an incredible nourishing sensation. I was surprised. I had expected it to upset my stomach or make me feel, meh. So I took this as a sign that I was likely not genetically predisposed to being a vegetarian. Also, that the diet I had been trying out was not as nutritious as it should have been for me. Then I was introduced to the Whole30; eliminate all grains, legumes, dairy, and sweetened foods for at least 30 days, then reintroduce them separately to see how you feel after eating them. That approach resonated with me as I like to be in tune with my body and what it’s telling me. Boy! Have you tried to eat without grains?! Nothing. No rice, pasta, bread, cereal…especially when it has been a foundation of your entire diet for 48 years. That’s was probably the most difficult logistic aspect of the entire experiment for me; but fascinating. I enjoyed having to get really creative, and inquisitive at restaurants, in creating a meal with just meat and veg. Interestingly, it is very do-able. And relatively easy once I got used to that new way of thinking. That was about a year and a half ago. I am still experimenting with incorporating whole grains (wild rice and buckwheat) and legumes back into my diet on rare occasions to see if I feel any differently. What I have enjoyed most is exploring a vast array of new vegetables; living in Panama has facilitated that as they have tons of root veggies here that you don’t see often in the US. Unfortunately, they have far fewer greens like kale or swiss chard, which used to be the basis for most of my breakfasts. The biggest differences I noticed eating just meat and veg have been that my metabolism cranked up a notch and my mental clarity / recollection noticeably improved. I remember the moment of a big mindset change for me. It was years ago at a conference in New York. I was staying at a nice hotel that had an international breakfast buffet. Each section of the buffet offered breakfast items from a different country, logically. However, only the American section had bacon, eggs, and toast….whaaa?! You mean, I can eat ANYTHING for breakfast? Other countries’ sections had fish, meat, vegetables, croissants; all sorts of stuff. I was bold and adventurous and had my first-ever fish for breakfast. Funny, isn’t it, how we are sort-of brainwashed in life. These days my brekky is usually orange, red, and green. One or 2 carrots (grated), a small beet, part of a red bell pepper (or capsicum, as the Aussies and Kiwis say), and half of a poblano pepper. Oh, and I have to give a shout-out to New Zealand. When I lived there, I swore that the beetroot, as they call it, was their national vegetable. It was everywhere and in everything. This was before I ate beets so it annoyed the hell out of me. Now I get it. Beets are quite yummy and, well, if color equals nutrients, then they are super food! What color was your brekky? Post your response below, would love to see if anyone can top my uber-polyphenolic rainbow selection!